This requested lot was a real challenge for me, but I had fun seeing how much I could do with it. I used red & black a lot, which were my high school colors. 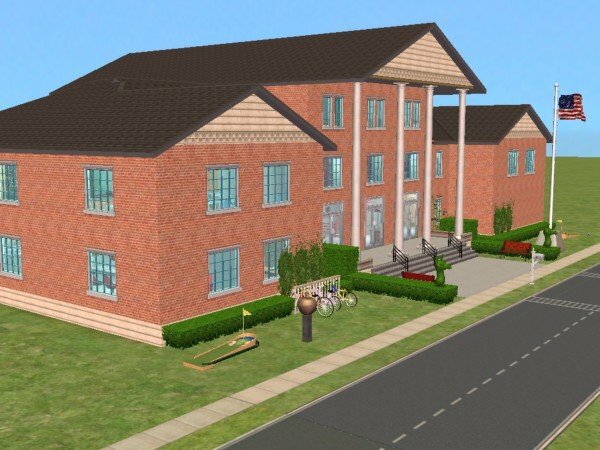 I built this to be used as a school with teachers that live in the upstairs dorms, but I suppose it could have other uses. 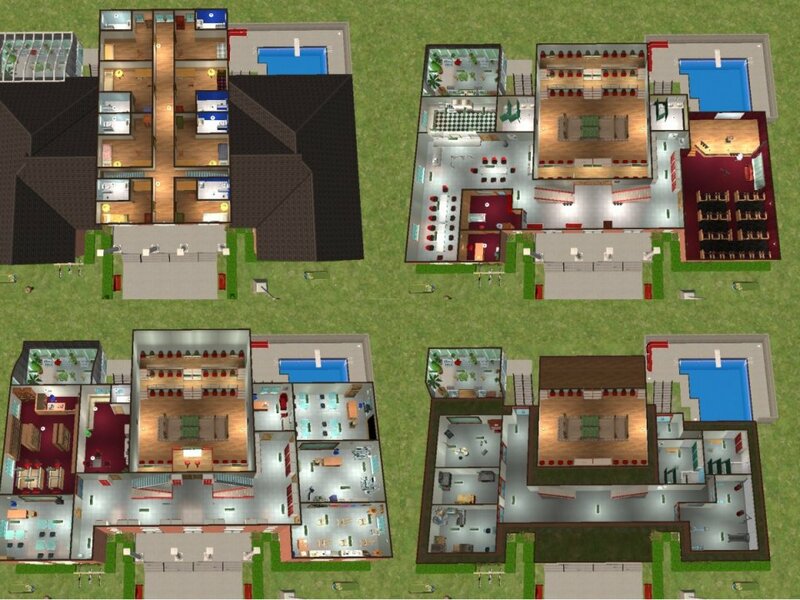 Maybe it could be used as a boarding school, or a gigantic dormitory. I forgot to make a computer lab, but it would be easy to do by putting computers on the tables in a classroom or in the cubicles in the library. Edit 12/26/07: I have added a fixed version of the school. No one has complained, but it bothered me. When I built it originally, I used Numenor's Unlevel Walls in a few places, which leaves a few holes in the building for anyone without that particular mod installed. These holes were in the back of the school, affecting the base of the gym wall and part of the greenhouse walls. 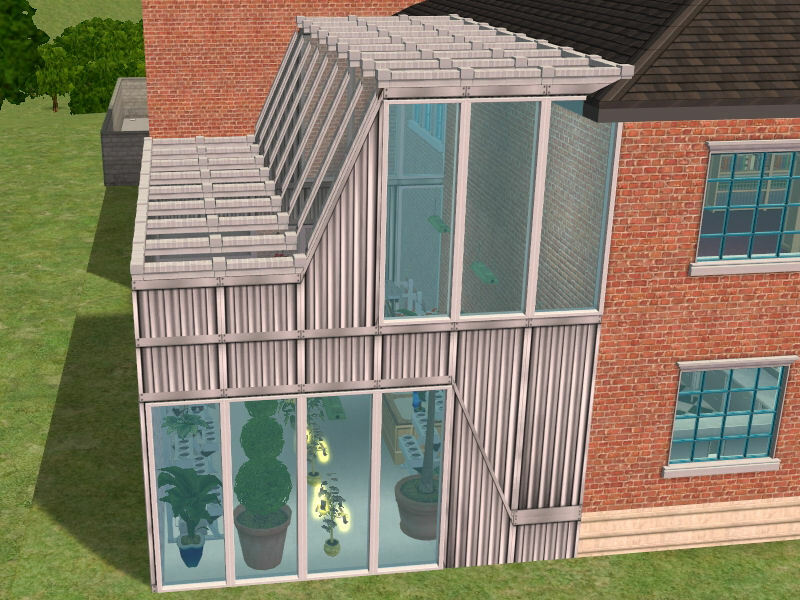 The fixed greenhouse's roof isn't quite as nicely curved as it was originally, but we can't have it all. Other those couple of changes, it is identical to the original school. The last attached photo shows the new greenhouse roof. P.S. I am sorry, but I'm not Inge, and I don't offer support on running a school. 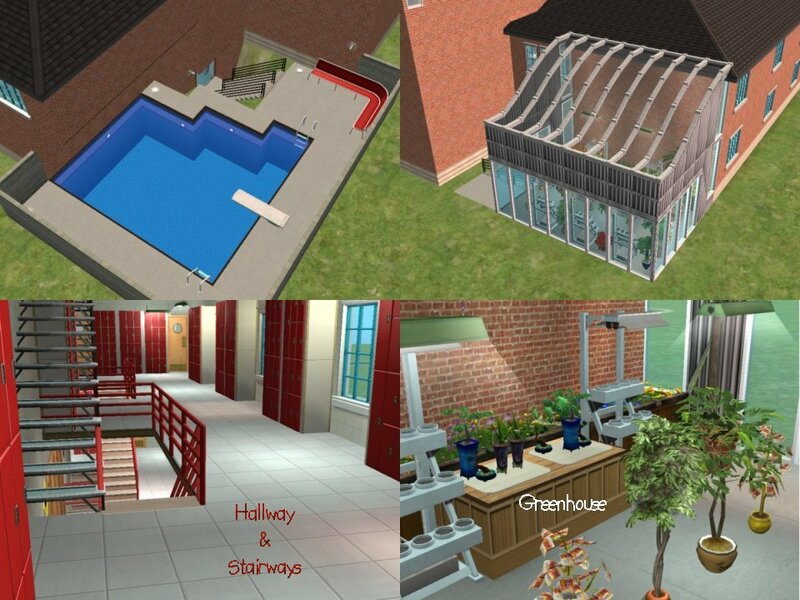 Please politely ask questions at the forums on Simlogical for support on using her awesome school hacks. and 1 custom wall by me. Thank you to all the custom content creators!